A potent Turmeric teeth whitening powder containing Birch Tree Extract to decrease oral bacteria and remineralise teeth. 40g. 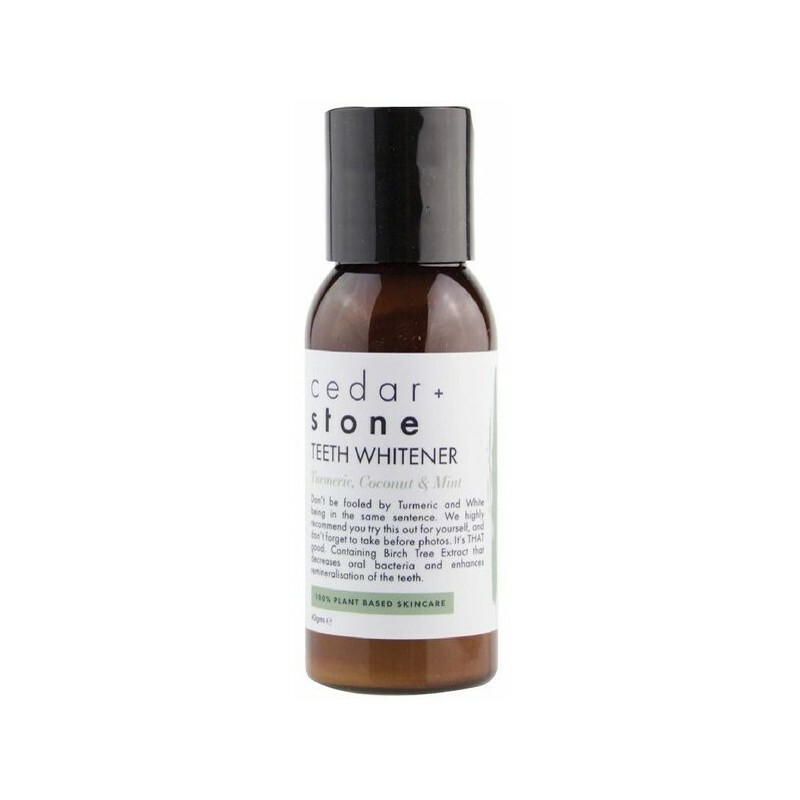 Won't stain your teeth, Cedar + Stone recommend taking before and after photos, it works so well. 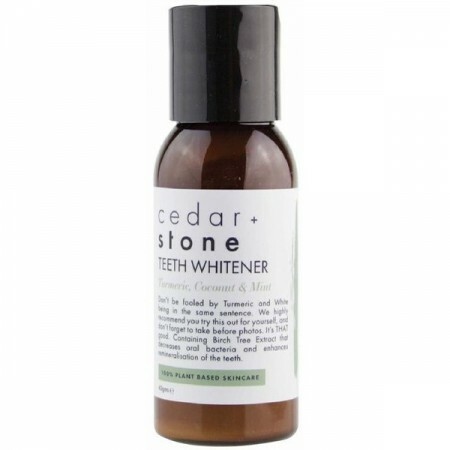 Can be used solo or followed by your normal toothpaste if desired. Kaolin Clay, Turmeric Extract, Organic Virgin Raw Coconut Powder, Xylitol (Birth Tree Extract), Horsetail Extract, Peppermint Essential Oil. Browse our other shaving products.